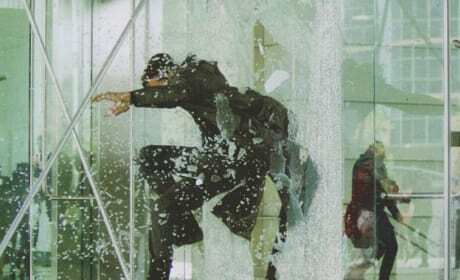 Benedict Cumberbatch jumps through glass in this still from Star Trek Into Darkness. 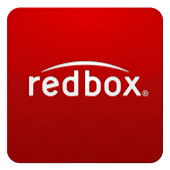 The Star Trek sequel is directed by J.J. Abrams and hits theaters May 17, 2013. 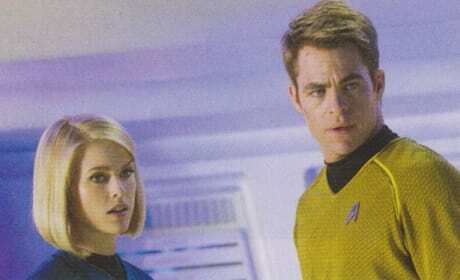 Alice Eve and Chris Pine star in this still from Star Trek Into Darkness. The Star Trek sequel is directed by J.J. Abrams and hits theaters May 17, 2013. 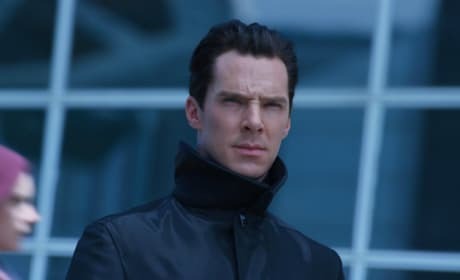 Benedict Cumberbatch stars in this still from Star Trek Into Darkness. 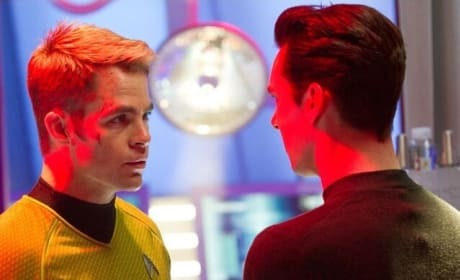 J.J. Abrams' second Star Trek film premieres May 17. 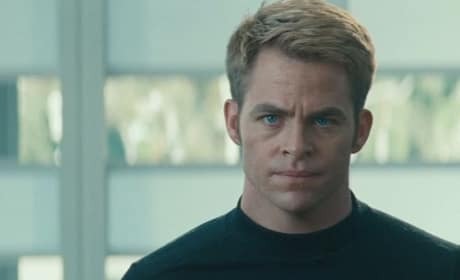 Chris Pine stars in this still from Star Trek Into Darkness. J.J. Abrams' second Star Trek film premieres May 17. 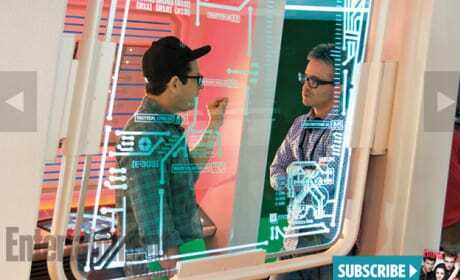 J.J. Abrams and Alex Kurtzman on the set of Star Trek Into Darkness. J.J. Abrams' second Star Trek film premieres May 17. 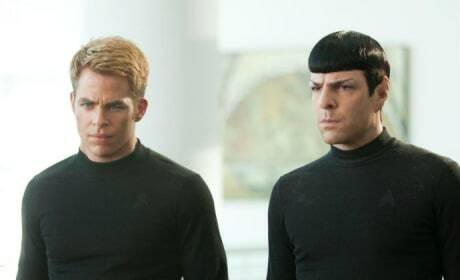 Zachary Quinto and Chris Pine star in this still from Star Trek Into Darkness. J.J. Abrams' second Star Trek film premieres May 17. Zoe Saldana stars in this still from Star Trek Into Darkness. J.J. Abrams' second Star Trek film premieres May 17. 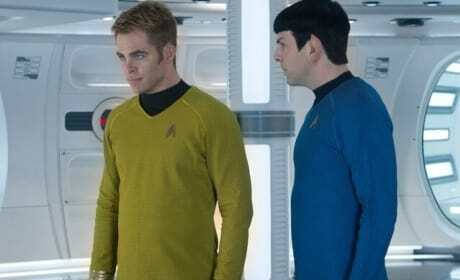 Chris Pine and Benedict Cumberbatch star in this still from Star Trek Into Darkness. J.J. Abrams directs the sci-fi sequel. 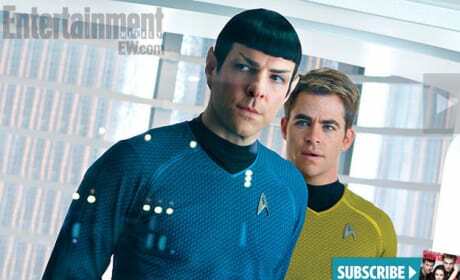 Chris Pine and Zachary Quinto star in this still from Star Trek Into Darkness. J.J. Abrams directs the sci-fi sequel. 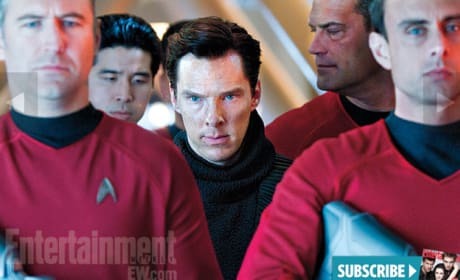 Benedict Cumberbatch stars in this new Star Trek Into Darkness Still. 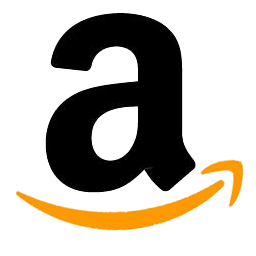 J.J. Abrams directs the sci-fi sequel.